Enter a title for the template here. Click here for more information about defining titles. 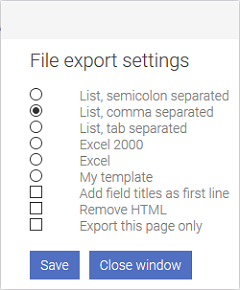 The title will now be shown in the list of available export templates in the browser.